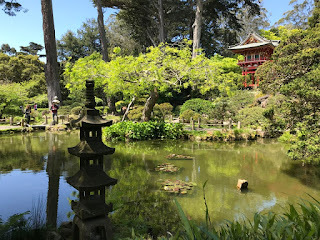 During our trip to San Francisco we spent a few hours at the Japanese Tea Garden in Golden Gate Park. It is the oldest Japanese park in the United States; originally it was created in 1894 as a "Japanese village" for the California Midwinter International Exposition that year, and it grew into a one-acre garden. 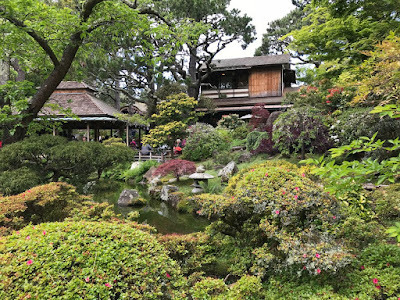 When the fair ended, the gardener, immigrant Makoto Hagiwara and superintendent John McLaren had a gentleman's agreement where Hagiwara would look after the garden and even expanded it to five times the size, importing many plants, birds and koi fish, as well as effort into the place. His family also lived on the property. 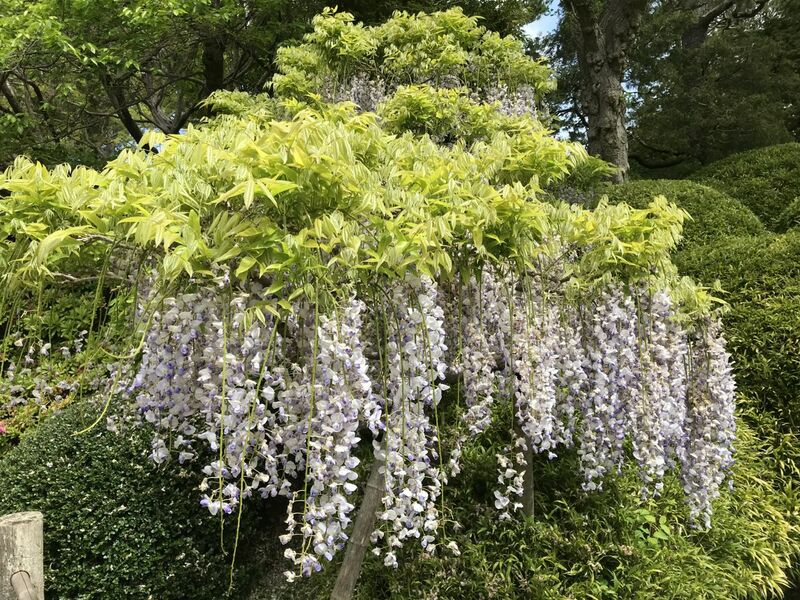 Hagiwara died in 1925 and his daughter Takano Hagiwara and her children became the proprietors of the garden. However in 1942, she and her family along with 120,000 other Japanese Americans were evicted from the garden and sent to internment camps during World War II because of unfounded fears they were spies for Japan. 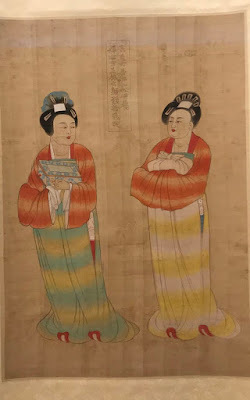 When the war was over, the family was not allowed to return to the garden, nor were they reimbursed either, which is a sad indictment of these innocent people. While the family was away, all the Japanese buildings, including their home and the Shinto shrine in the garden were demolished. 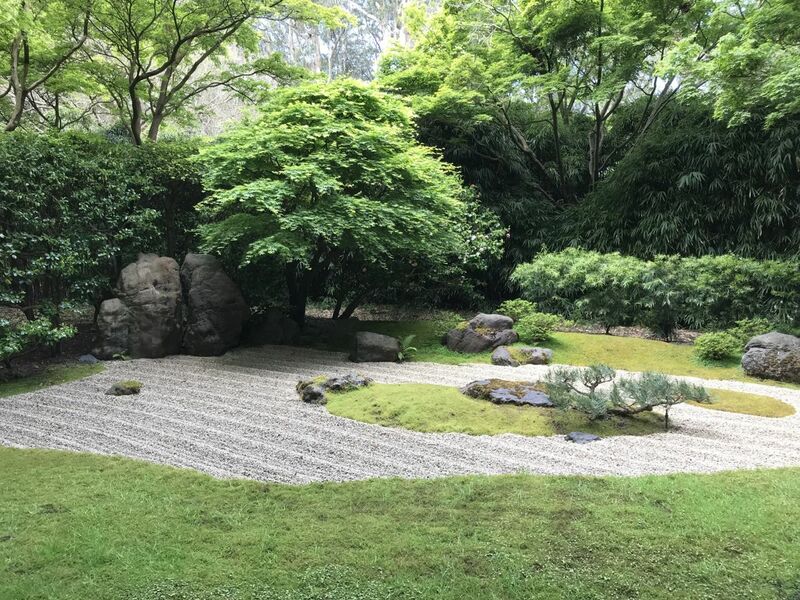 After the war, the Hagiwara family gave minimal assistance to fix up the garden, and in 1949 a bronze Buddha was donated by the Gump family, both efforts some of many efforts in reconciliation. 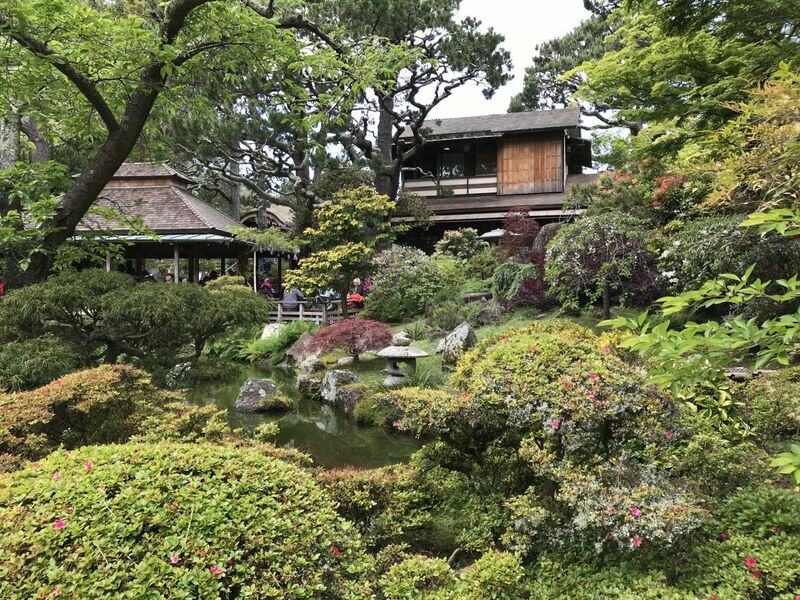 Nevertheless the garden is still carefully looked after and beautiful to admire. The trees and bushes are meticulously sculpted and pathways are very clean. 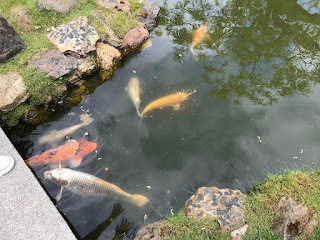 There are massive koi fish swimming in the ponds, but it's sad to see coins in there -- why aren't they retrieved? 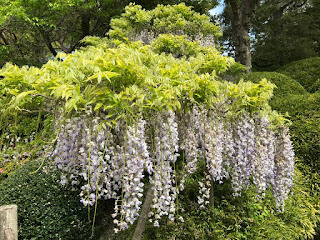 Everywhere you look, the garden is photogenic -- the wisteria are in full bloom along with the cherry blossoms. It also helped there were blue skies overhead making it a scenic visit. There's a giant drum bridge that should really have a sign that says "Climb at your own risk" because it's very steep to climb up and down. Kids should definitely not be on there! And there's also a zen garden and a pagoda. It's interesting the garden didn't give us the above information about the history of the place. 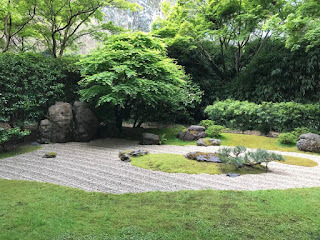 But it would have given me a greater appreciation of how much work Hagiwara and his family put into the garden and how we must keep it going as a reminder of our past.